An In-Floor pool cleaner is a system that has jets on the floor of the pool that spray in sequence. Water flow is managed by a manifold device that utilizes jets located in the steps and floor of the pool. The jets push debris towards the deep end of the pool, where it can be sucked up by drains and skimmers. 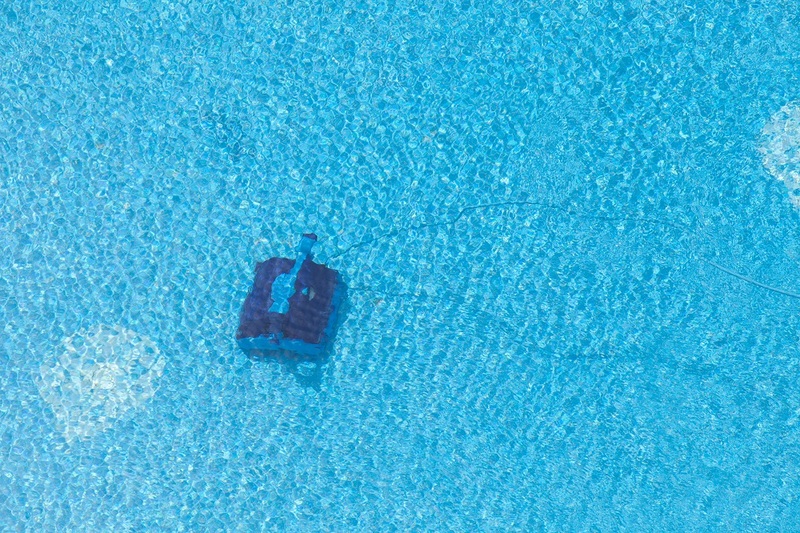 The other forms of pool cleaners are the type that move around the pool and vacuum debris into an attached bag or suction cleaners, which use a skimmer and pump basket to collect debris. These types of pool cleaners can be automatic or manually operated. These have been around since the 1960’s but came in prominence in the 80’s when many swimming pool contractors in Orlando, FL, and around the nation made them a common feature in new pool design. The main benefit was a lack of hoses or equipment needed to keep the pool clean. This made the job of swimming pool pavers in Orlando, FL, much easier, as in-floor was much safer than equipment that requires a lot of hoses and other attachments. The In-Floor system also improves circulation, which helps distribute chemicals and heated water more regularly and evenly. A drawback of the In-Floor system is that it did not get all the debris all the time. In addition to the jet system, manual cleaning was occasionally needed, which erased most of the “no hoses or equipment” argument. If your pool had a lot of trees around it, In-Floor could end up being a hassle, even if the system worked perfectly; in those cases, pool screen enclosures that could block out debris under normal circumstances were a good idea. Another concern was cost as putting in an In-Floor system when the pool was being built adds a few thousand to the overall budget. A third drawback was that it could not be retrofitted and had to be part of the initial pool design. These are commonly referred to as “On-Floor” cleaners and included suction-pressure cleaners, robotic cleaners, and pressure side pool cleaners. The benefit to these was that they were efficient, easy to operate, and fairly easy to troubleshoot. They could be retrofitted to any type of pool and could be configured to operate automatically. They also improved circulation of water and could filter water as they worked. Downsides to this type of cleaner were the safety issue of having a lot of hoses in constant motion when the system was being used. That made designers and pool brick pavers in Orlando, FL, have to take the clutter into consideration when designing the outside of a pool. Another was the fact that they did break down more and needed a lot of maintenance. In addition, replacing the entire system was needed about every five to ten years. Which system of swimming pool cleaners in Orlando, FL, wins really depends on if your pool is already built and what you will tolerate in terms of clutter. If that tolerance is low, In-Floor wins. If not, On-Floor is the better choice.